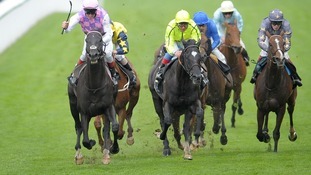 The trainer of one of the horses that competed in today's Hardwicke Stakes said the race was "unsatisfactory" after winner Thomas Chippendale died of a suspected heart attack. Universal's trainer Mark Johnston said, "It was unsatisfactory. The jockeys didn't know whether to go with the loose horse or not". Marco Botti, Dandino's trainer, said, "It was a very messy race and he got hampered when the other horse fell and by the loose horse". The horse that fell, 9-4 favourite Ektihaam, gave jockey Paul Hanagan a nasty fall. Hanagan was taken to hospital to be X-rayed.